These photos were taken on the way to and at Union Cemetery for the Memorial Service. 1. Here and in Photo 10 Etta Albright is our tour guide on the bus ride to Union Cemetery. 2. 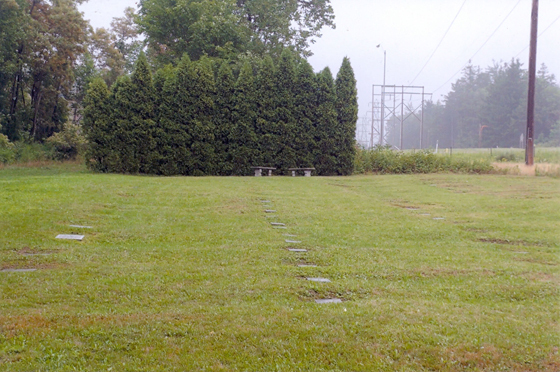 It was overcast, but the rain held off for the Union Cemetery visit. 3. ???? 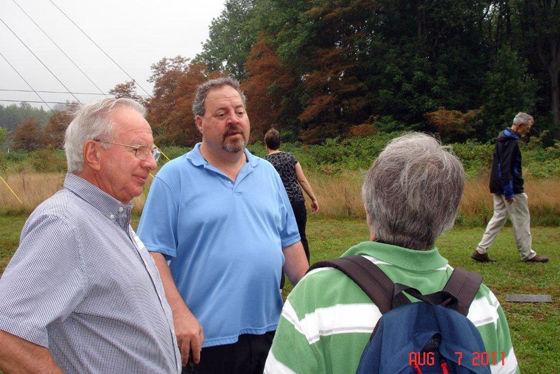 ?, Dave Huber and ?????. 4. 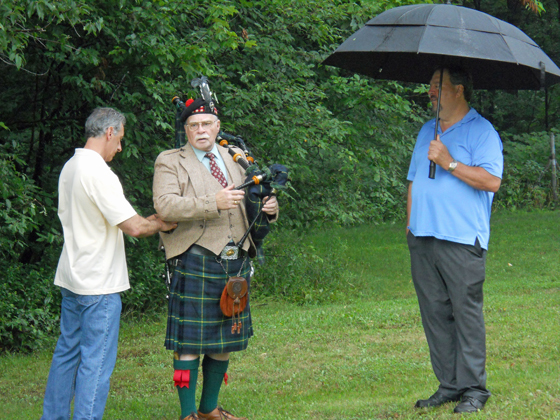 David Solomon of WQED, bagpiper Jim McFadden and Dave Huber. 5. 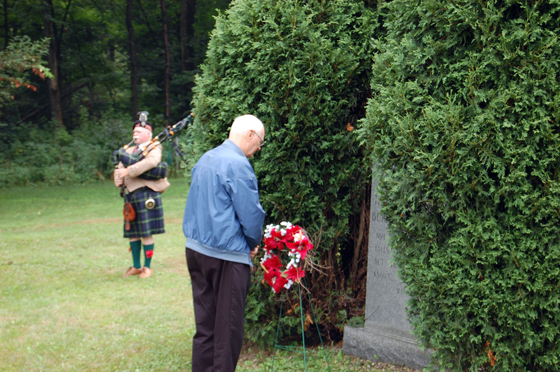 Jim McFadden plays the bagpipes while Chuck Felton places a wreath in memory of the TB patients buried in Union Cemetery. 6. 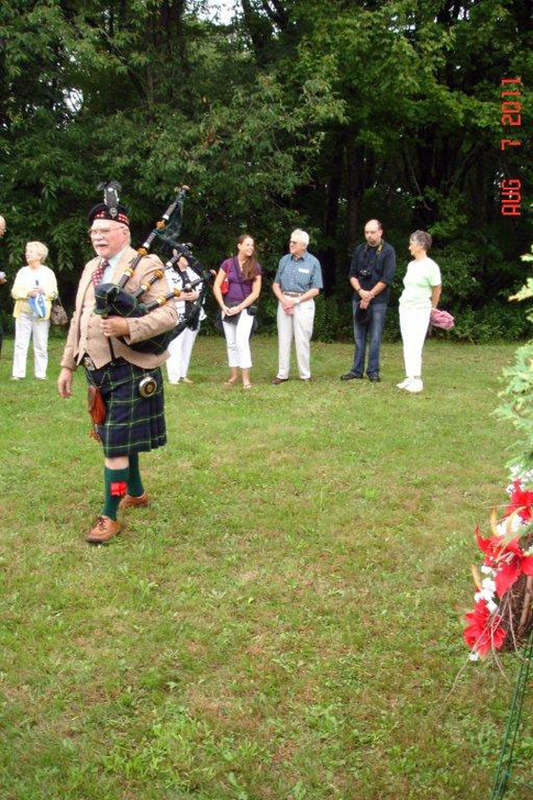 Jim McFadden getting ready to play the bagpipes. 8. 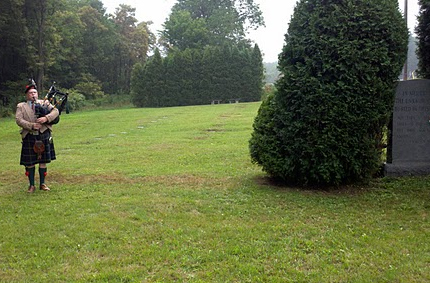 Flat grave markers of the san patients. 9. 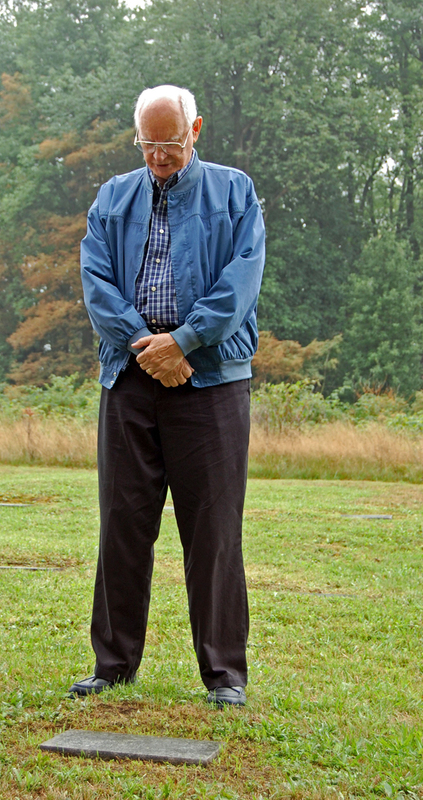 Chuck Felton looking at the grave marker of his friend Herbert Eby, who died at the san in 1958. 10. Patty Satalia of PBS Radio Station WPSU in State College is recording Etta's narrative. 11. Chuck Felton and Patty Satalia interviewing ??????. 12. 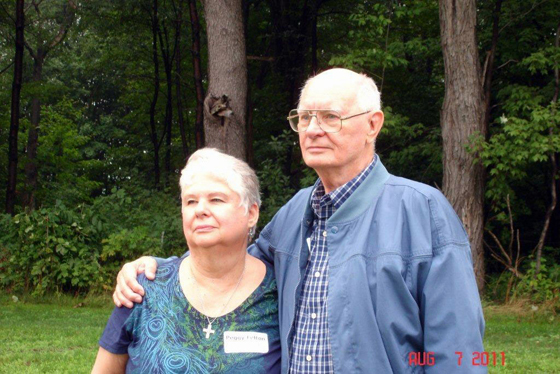 Peggy and Chuck Felton. 14. 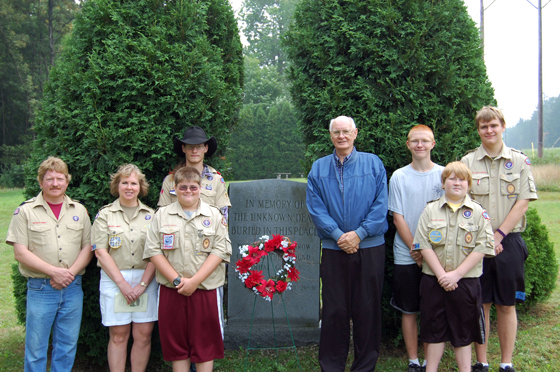 Chuck Felton stands with members of Boy Scout Troop 59 of Gallitzin, who attended the memorial service to help the elderly visitors. 15. 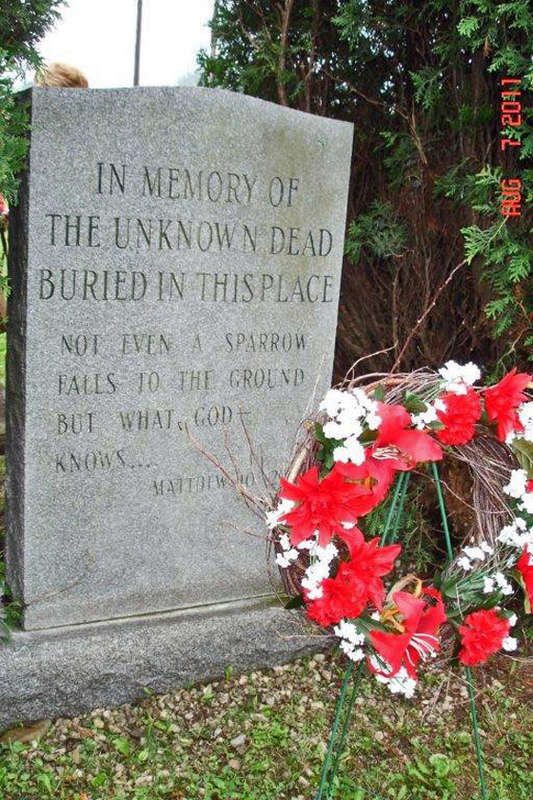 The memorial wreath and monument. 16. Patty Satalia, Paul Ruggeri, Skip Shrauder and Chuck Felton. 17. Grave marker for Herbert Eby. Only their date of death was recorded for san patients. 18. 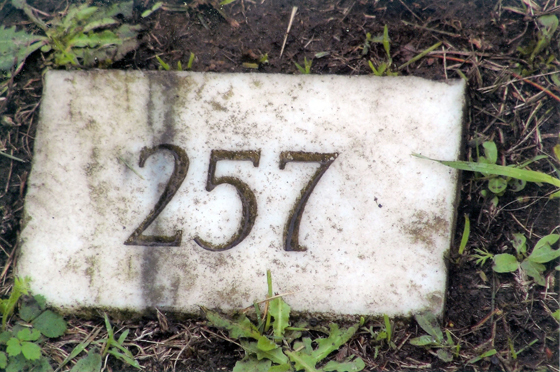 Some gravesites of san TB patients are marked by a small stone with no name, but only a number such as this one.